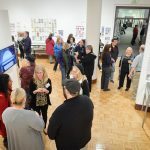 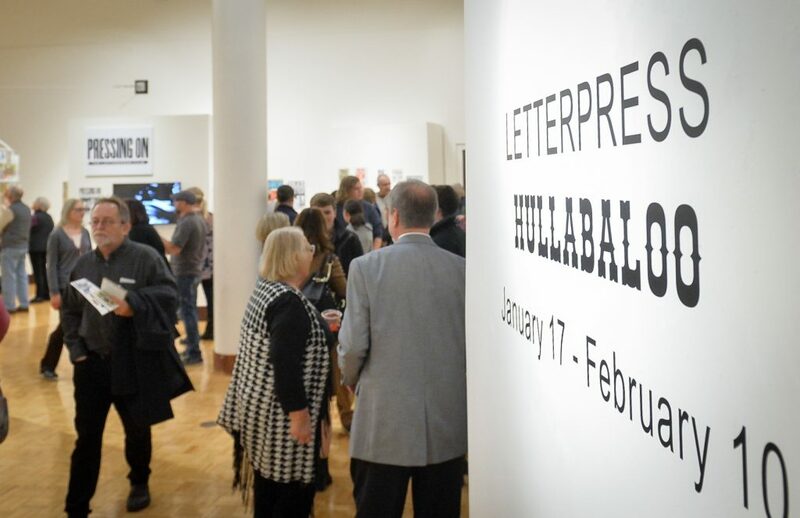 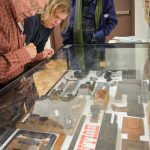 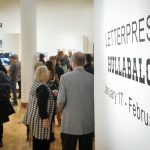 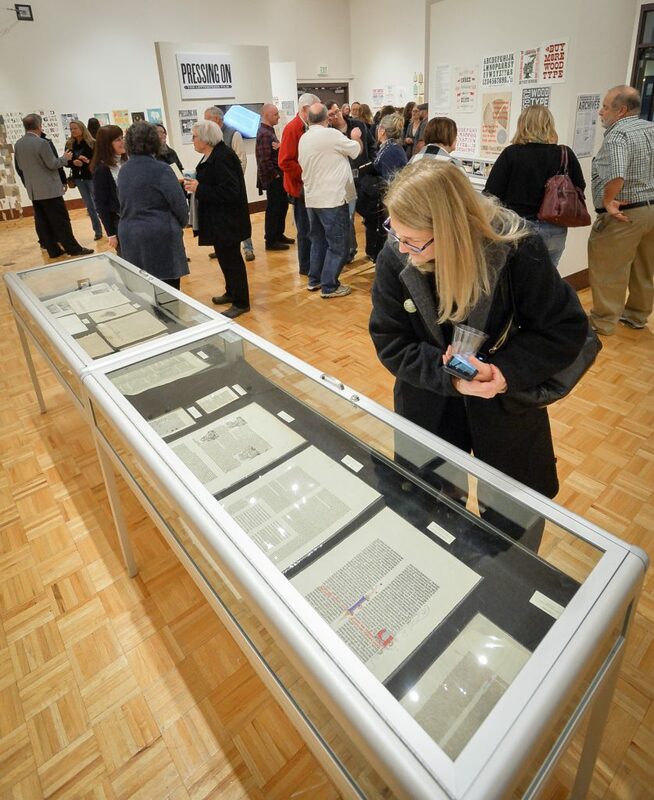 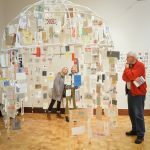 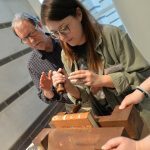 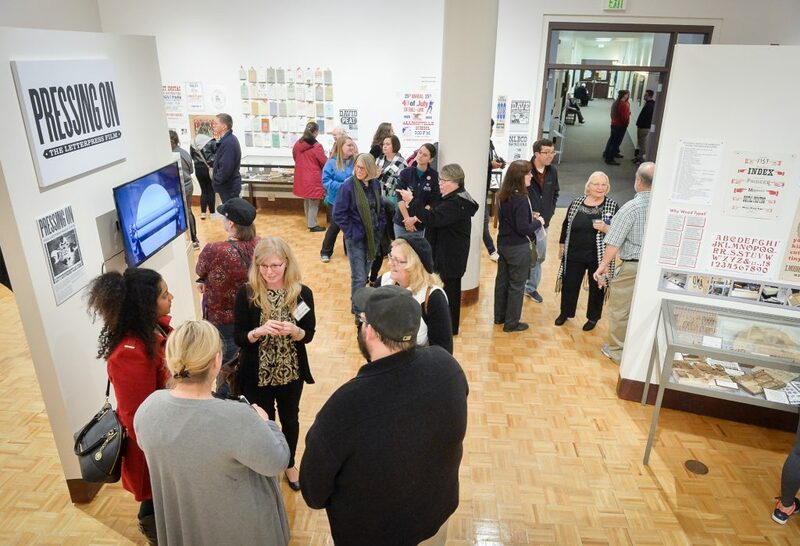 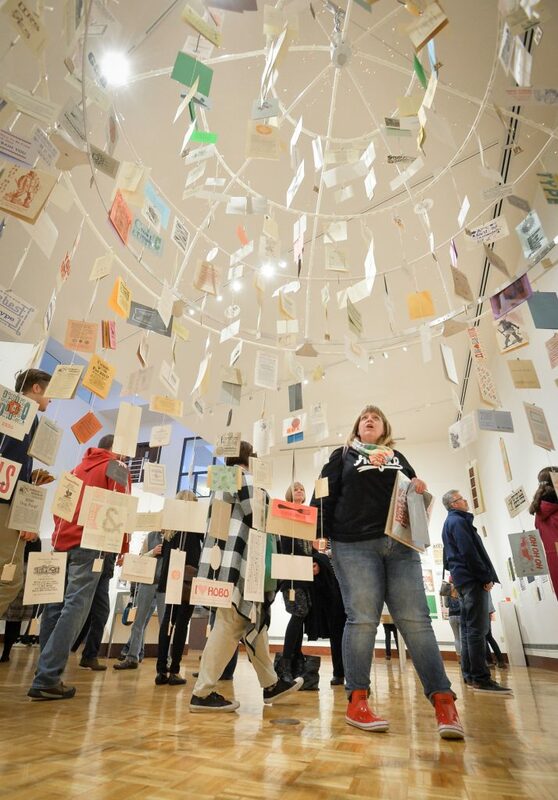 A standing-room only crowd turned out Monday evening at the Christel DeHaan Fine Arts Center for the opening reception of “Letterpress Hullabaloo,” a celebration of the history and modern expression of printmaking. 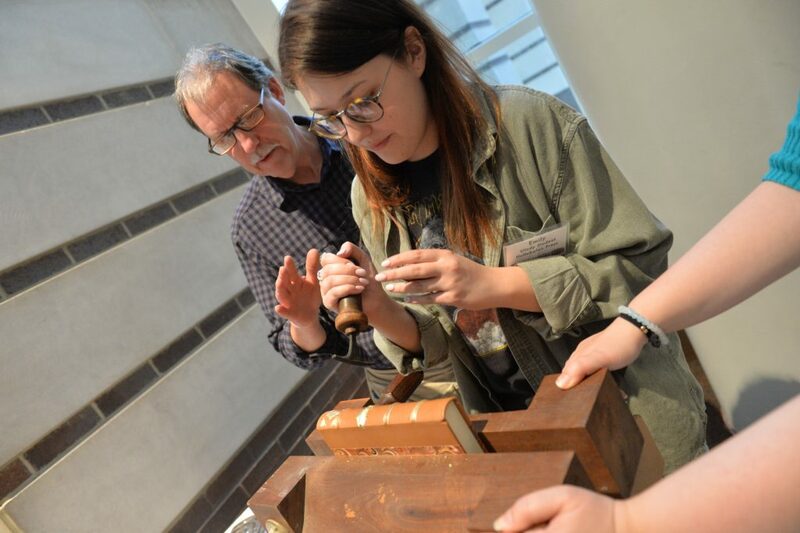 Curious visitors had a chance to try their hand at printmaking and assist in the traditional craft of bookbinding. 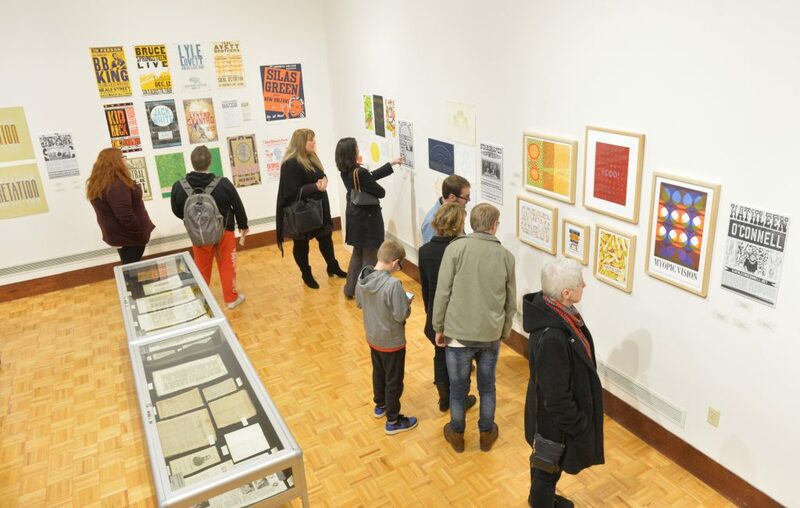 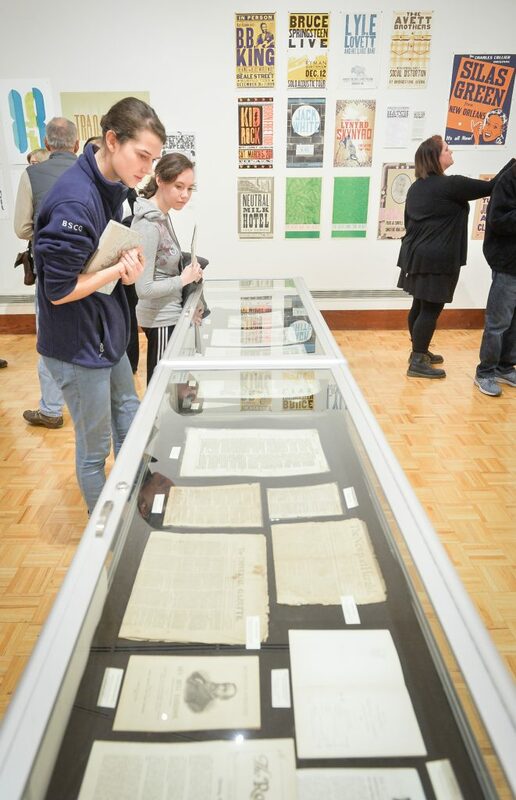 Letterpress fans strolled through the gallery to chat with Indiana-based printmakers and peruse colorful posters. 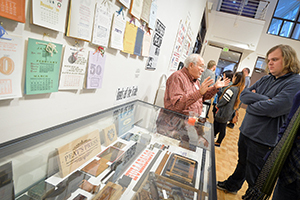 It was all to celebrate an antiquated technology that has newfound meaning in the digital age. 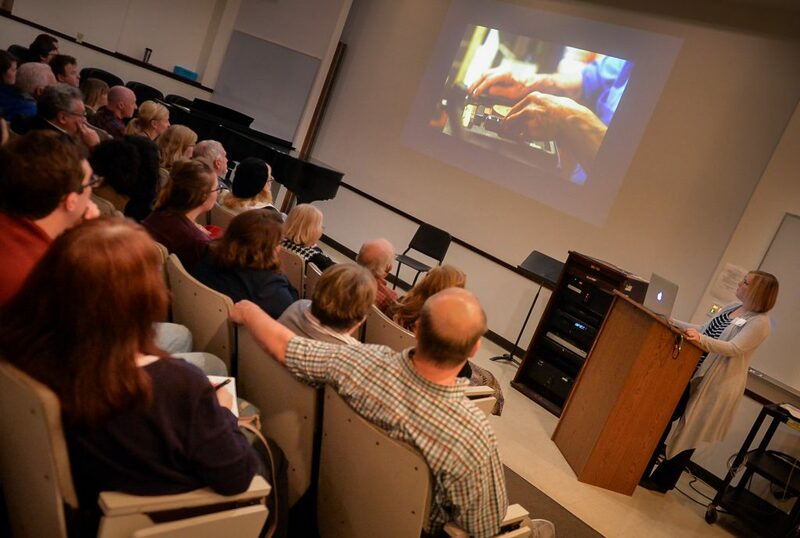 Erin Beckloff, an assistant professor in graphic design at Miami University of Ohio who directed and produced the documentary “Pressing On: The Letterpress Film,” spoke to a capacity audience about how the passion of a small but dedicated community is keeping the art, design and craft of letterpress alive. 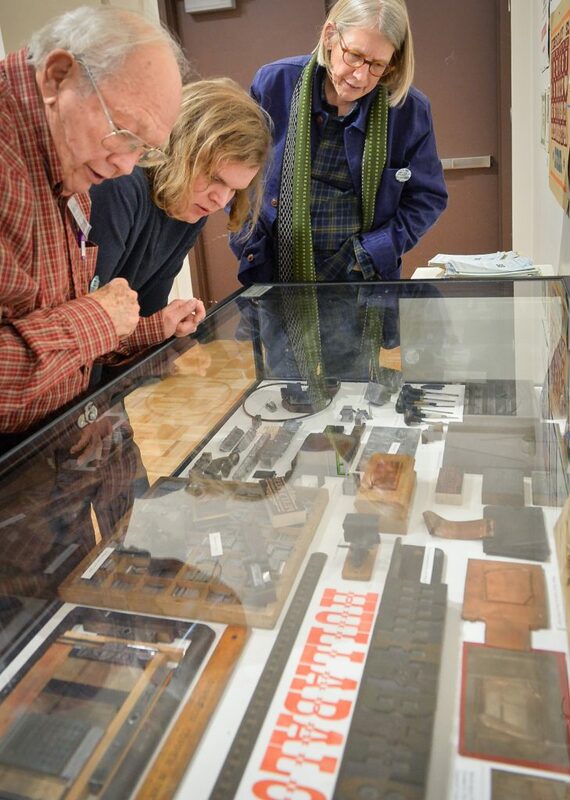 Some significant figures in the letterpress community operate right here in Indiana. 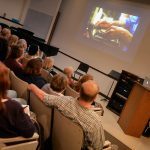 Beckloff and her colleagues raised over $71,000 on Kickstarter to produce the project, and she’s eagerly awaiting word from several film festivals to find out if “Pressing On” has been accepted. 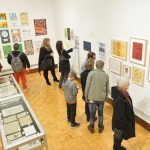 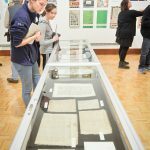 The exhibition coincides with the relaunch of printmaking courses at the University of Indianapolis. 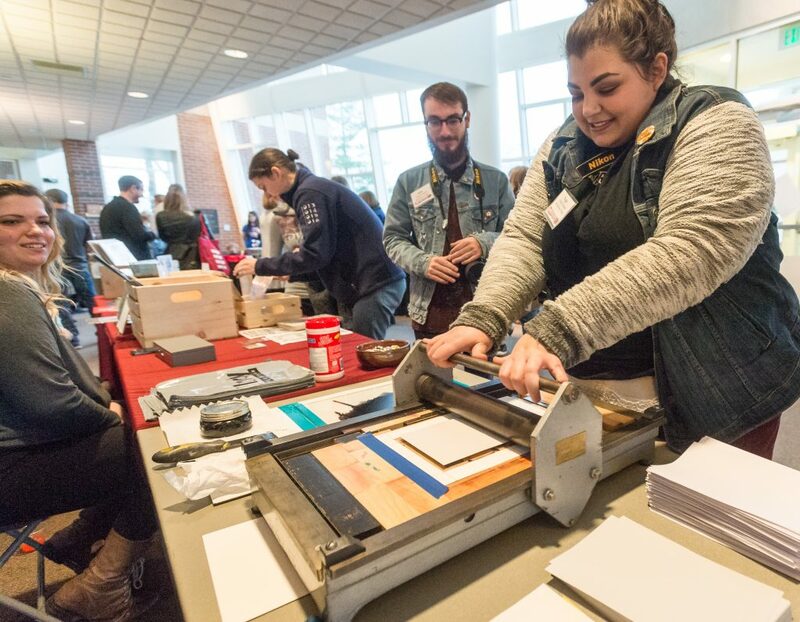 Under the direction of Katherine Fries, an assistant professor in the Department of Art and Design, printmaking classes will return to the University after a five-year hiatus and the University recently purchased a letterpress as well. 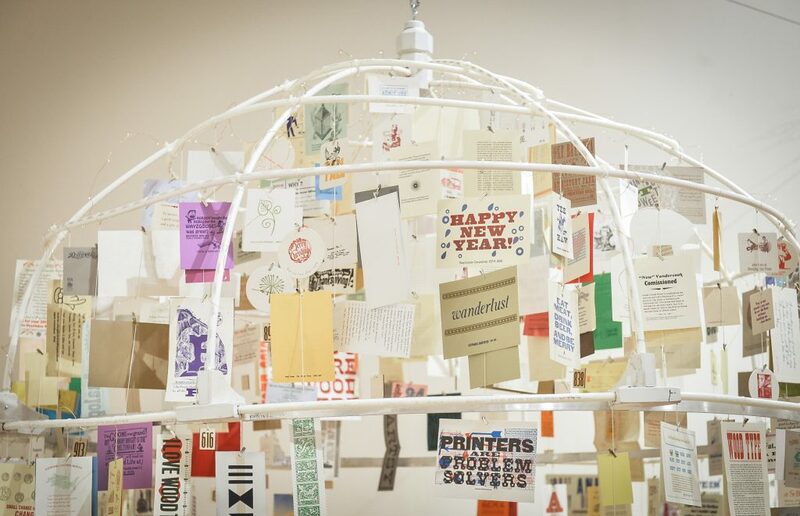 Beckloff’s documentary explores the aesthetic process of letterpress and demonstrates its connection to modern technology. 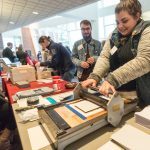 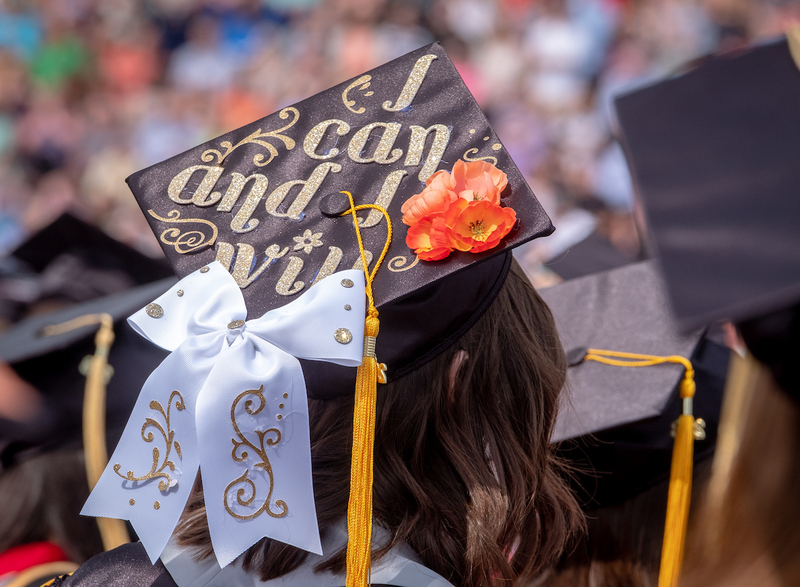 Her production team traveled throughout the United States to interview modern-day practitioners of letterpress art, and it quickly becomes apparent that it takes a special group of people to keep it going. 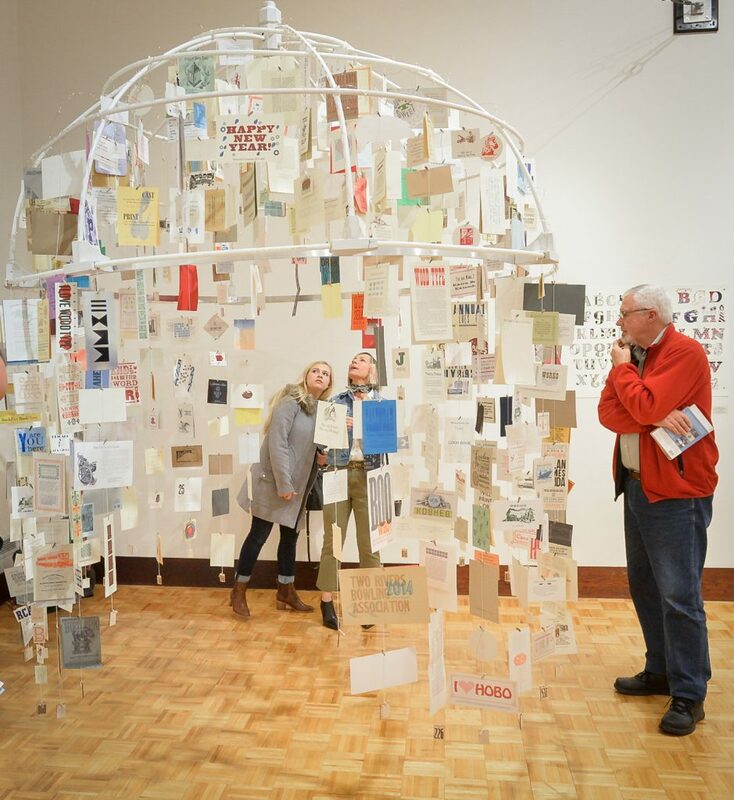 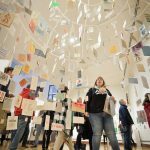 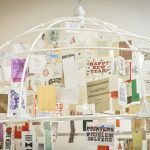 At Letterpress Hullabaloo, a display called Letterpress Hemisphere demonstrates this impressive web of connectivity between printmakers in Indiana and all over the country, with postcard-size works of art cascading down from a circular frame and inviting the visitor to step inside. 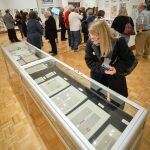 The exhibition will be on display until Feb. 10.